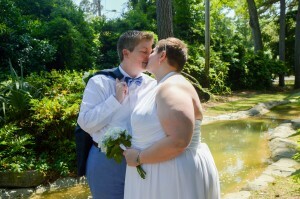 Tarrah Nicole Simons of Charlotte, NC and Bobbi Leigh Brock of Fayetteville, NC were united in marriage on April 28, 2016 in the chapel in Myrtle Beach, South Carolina. Rev. M. F. Anderson officiated. After a honeymoon in St. Augustine, FL, the couple will reside in Wilmington, NC.